Its the Photo of two People who killed a Hamas Commander in a hotel of Dubai. in the above Photos they are going out of Hotel after killing the Hamas Commander. 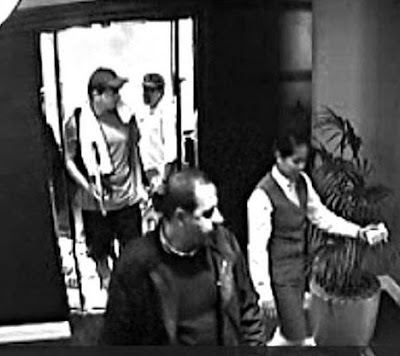 The Video of These people was made with Hotel Camera's. These people where successfully able to run from Dubai after killing the commander of Hamas. according to different sources these men are of Israeli intelligence agency Mossad. Dubai officials have said that we will take action whoever will be found involved in this killing.